Please note that the amount of variegation of the leaves can vary significantly. We will always send the ones with the best variegation available. Full soft variegation in leaves very pleasing ... secure packing and delivery ... 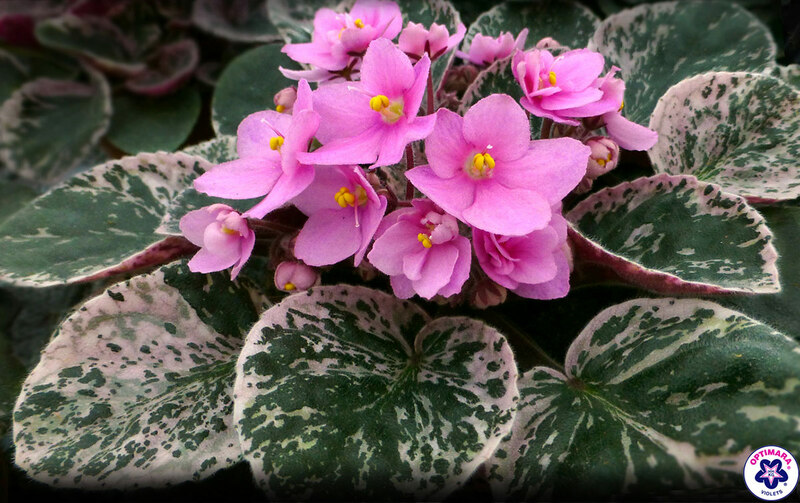 THANKS FOR VIOLETS YOU CAN depend on for showing good training and growth. I have had my Romance violet for two years plus. I recommend it. Each leaf is thick, curved, and beautifully variegated. The flowers are single or double, depending, and bright shell pink in color. 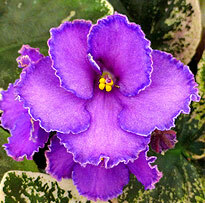 It is a heavy bloomer, with as many as 50 blossoms in a flush. I am growing it here in northeast Florida. The humidity might have something to do with how well it grows. This variety is a keeper. 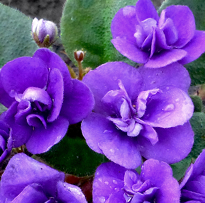 This is a very beautiful violet. The color of the flower is a very unique color. 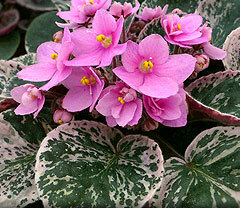 I would say it's a dusty pink and with the pink variegation of the leaves it is stunning.